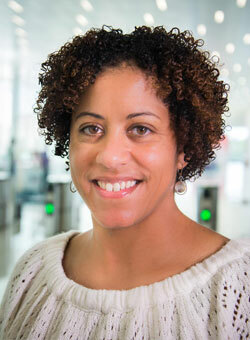 Leressa Suber is the Evaluation Coordinator with North Carolina State University Industry Expansion Solutions (IES). In this role, she provides project scheduling and research support for client projects including data collection,qualitative analysis, survey development and report writing. Leressa works with program and grant evaluations related to workforce development, community college, STEM, and the Department of Defense (DOD). Leressa has background in human resources and adult education. She has a MS Degree in Occupational and Technical Studies from Old Dominion University and a BS in Business Education from North Carolina A&T State University.